Taken at Imabari Shipbuilding Marugame Headquarter. 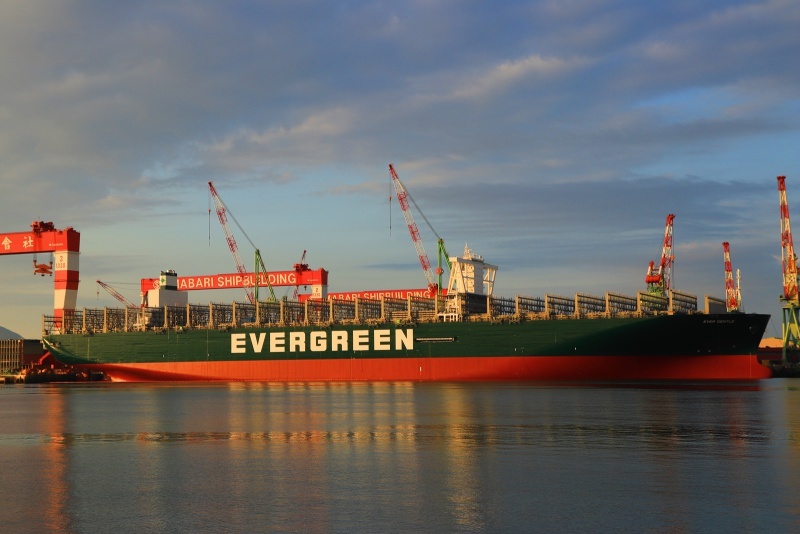 The company logo, "EVERGREEN" is bigger than her sisters ever built. Thank you for your comment, Roy. I will post another shots of her later. Very nice shot in good sunlight. I don't know the reason why Imabari or owner of the ship changed the size of logos by ships, but I like this big one. This photo has been shown 1,151 times since it was added to the site.